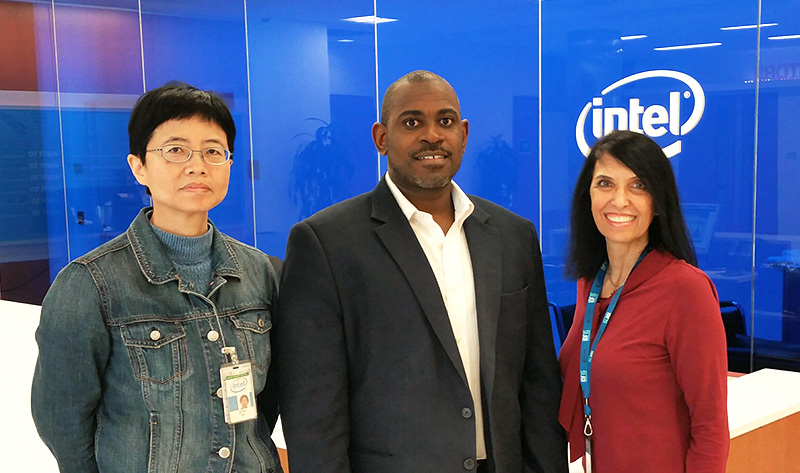 Our vision for Women in Big Data started with a diversity and inclusion conversation with Michael Greene, the Intel Vice President and General Manager of System Technologies and Optimization within Intel Software and Services Group. In the conversation, we shared the significant challenges faced in finding and recruiting women talents for our big data engineering workforce. Only 26% of computing professionals and 12% of working engineers were women in 2013. Barely 18% of all computing degrees went to women in 2013 (down from 37% percent in 1985). The percentage of women in big data is much lower. Greene’s question was why not do something about it with industry partners? Good question. Why wait? What can we do about it? In May 2015, we reached out to our big data partners in the bay area, who were experiencing a similar problem with diversity and lack of technical females in their organizations. Our kickoff luncheon was held on June 2015 in Santa Clara at Intel Corporation and consisted of eighteen females from Intel, SAP, Cloudera, Oracle, IBM, and others. We say the struggle ahead, but with the energy and excitement in the room we also knew that we were embarking on a promising path, full of support from others. After the May 2015 kickoff, events got rolling quickly. Tina Tang (SAP) supported a number of workshops, where we further developed our vision and strategy. Karen Clark (Cloudera) created our “Women in Big Data Forum” Linkedin group. Laila Razouk, Executive Coach Consultant. The second meet-up was on the east coast, co-located at Strata+Hadoop World Conference in New York City, on September 30, 2015. Our keynote speaker was Deborah DiSanzo, General Manager of IBM’s Watson Health. More gathering and networking events are being planned for 2016, with the first meet-up event on March 30, 2016 co-located at Strata + Hadoop World Conference in San Jose. We also are working on a plan to collaborate with higher education institutes to ensure we maintain a healthy pipeline of female candidates. For example, we are currently engaged with Stanford University, which already promotes activities on Women in Data Science. Our journey began with a simple inclusion conversation and is flowering with results. Starting with 15 members, by the end of 2015 we had grown to over 250 members. We invite you to join us on LinkedIn and grow our female community for big data and analytics technologies. We are confident such effort will make a difference.